The maiden cross border cruise on Dhaka-Kolkata-Dhaka is going to start experimentally on March 29 with a view to explore new horizon for tourists. BIWTC’s vessel “MV Madhumoti” is scheduled to sail from the VIP terminal at Pagla Ghat at 7pm carrying the Kolkata bound passengers. Bangladesh and India are going to start this water-way service for the tourists under the agreement of Naval Protocol. 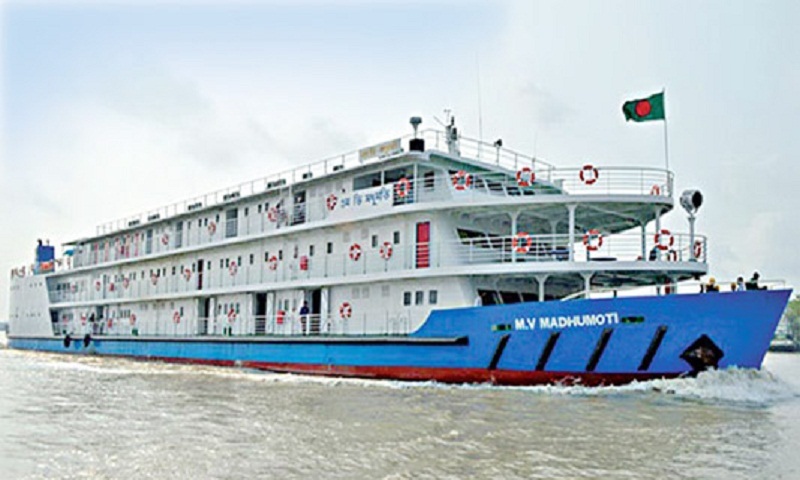 Madhumoti cruise is expected to reach Kolkata at 12 noon roaming Barishal-Mongla-Sundorban-Antyhara of Khulna and Holdia route of India. To this end, a preparatory meeting was held on Tuesday at the ministry with state minister for shipping Khalid Mahmud Chowdhury in the chair. The meeting finalized family suite (single way) Taka 15,000 while first class cabin (One seat) Taka 5,000, first class semi double cabin Taka 7,000, deluxe cabin (Two Seats) Taka 10,000, economy chair Taka 2,000 and Shulabh and deck class Taka 1,500. Besides, the travelers have to bear the cost of food available on the vessel. In addition, hotel booking and related issues have also to be arranged by own. Earlier, the shipping ministries of both the countries finalized the Standard Operating Procedure (SoP) for movement of passenger and cruise vessels on the coastal and designated inland routes between the two neighbors. For necessary information tourists can contact BIWTC’s Director (Commercial) N S M Shahadat Ali (9634920, 01711392570), General Manager (Commercial, and passengers/Admin) Sheikh M Nasim (9634272, 01715016751), Deputy General Manager Shah Md. Khaled Newaz (9669478, 01715635341) and Assistant Manager Syed Jafor Hossain (9667973, 01753990826), report UNB.